Way back in 1998, I was asked to join a technology team. It was recommended to me that I focus on a “new thing” called CTI, Computer Telephony Integration. I attended my first Genesys class in October 1998. Since I had a programming background, I started with the Routing Architect class. Even though this was the “new” version 6.5 of the Genesys software, I was initially overwhelmed by how much the software was doing and how much could be done with call management and call routing. I spent the next few years supporting Genesys systems and learning to read the detailed log files from Genesys processes. At this same time, I quickly became skilled with Nortel’s Symposium software. The Symposium software performed some similar roles as the Genesys software in a very simplified way and only for Nortel DMS switches. Having another CTI system to which to compare gave me a great appreciation for how the Genesys software was designed and built. The design of the Genesys software system is similar to a computer operating system. The division of responsibilities and use of inter-process communications are classic operating system and Unix design aspects. (This explains why Genesys processes run so well on Linux servers today.) The T-Server is the external interface to voice switch. The Stat Server (also known as Real-Time Metrics Engine or RTE) monitors messages and events from the T-Server to determine what is happening with agent and call states so that it can calculate the time intervals among various events and states. These event and status time intervals are passed on the Router (Genesys URS) to determine what actions need to be taken. When a desired action is identified, Router sends a message to the T-Server which translates the message into a native switch message that makes the action occur. Even though these greatly simplified steps I just described were for a voice call, Genesys realized these are the same basic steps needed for digital communications like email, chat, and SMS. Genesys generalized the voice session model and called it an interaction model. So, all communications work via interactions. A voice call simply becomes one specific kind of interaction. This means that all Genesys processes can work with all digital media the same way as with a voice call. This gives unified management and unified reporting for all of the different kinds of interactions. This becomes a huge advantage over other competitors because there is no need for new development for existing processes. This division of process responsibilities enables what is known as “Open Architecture." Genesys Open Architecture allows its software to connect to a variety of systems and to expand as needed to meet capacity or budgetary concerns. By using and following industry Open standards, Genesys software has incredible flexibility to interface with a vast array of products. By using coordinating processes, the Genesys system easily expands as processing needs grow with the business it is serving. While improving versions of this software have been rolling out over the last twenty years, Genesys has been evolving and transitioning to new kinds of products. About 10 years ago, Genesys realized that web-based applications were the future. The company knew customers did not want to be limited to a particular operating system. A whole series of web-based tools have been created to help monitor, manage, and configure the Genesys system. A great example of one of these web-based tools is Pulse. A Pulse server monitors queues of various interactions, agents, and their states. The server publishes this real-time activity via a web service. 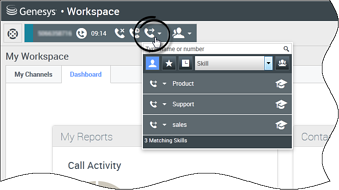 So, anyone in the contact center can log into the web service and see the activity within the contact center. This is a vast improvement over the “thick client” that required lots of RAM on the user’s desktop, a customized installation, and a complete reconfiguration when new agents or queues were needed to be added for monitoring. An important product is the “soft switch”. The “soft switch” is a software-only voice switch. The idea here is you buy software to attain digital switch capabilities. You install that software on your own computer hardware (like in a server farm). Then, you have your own digital voice switch at a fraction of the cost of a “hard” switch. Plus, you can control capacity, via the open architecture design aspects, by modifying the processing power of your servers. The “hard” switch was common twenty years ago. Companies like Avaya (formerly Lucent), Rockwell, Aspect, and Cisco built very customized computer systems which stood on their own to manage voice calls and were known as digital voice switches. These systems directly connected to public switched telephone network using a communication method called TDM. 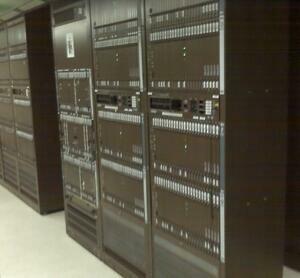 These monolithic machines were very expensive and were sized based on how many calls they handled. Genesys’ soft switch is known as the SIP Server. SIP is an international standard for initiating, maintaining, and terminating real-time sessions that include voice, video and messaging applications. It does all the same things as a hard switch. But it is software installed on a server of your choice. As a soft switch, it is easy to run this switch software from internet cloud source if you do not want to provide your own server. Genesys’ SIP Server is actually a hybrid: half SIP call control and half Genesys T-Server. This gives the standardized call control with the advantage of the T-Server which is integration with all other Genesys application components like monitoring and reporting which have been refined and improved for 20+ years. When I step back and think about the evolution of Genesys, there are many examples I could share but the net result all points to the same conclusion: Genesys began as an “add-on” product and integration tool for a digital voice switch. Now, it is a complete solution by itself. Genesys has had 25 years of development and refinement to make it an industry leader. As recognized by industry analyst Gartner, Inc, Genesys is named a Gartner Magic Quadrant leader for 23 years in the 2018 Gartner Magic Quadrant for Contact Center Infrastructure, Worldwide. Online Business Systems is proud to call this forward-thinking (and moving) company a Preferred Solutions Partner for over a decade. Our team of Digital Transformation consultants have thorough experience with integrating and implementing Genesys solutions to various organizations and industries in North America. 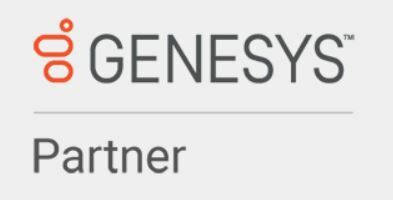 If you think your team is ready to benefit from the many advancements available via Genesys products, please reach out to one of our knowledgeable Onliners today. They’d love to learn more about your company and what you’d like to improve, in order to provide you with the best solution possible.